As is customary and continuing with the excellent relationship with the Association of Spouses of Diplomats of Mexico, the 2nd Friendly Meeting with Diplomats and Le Cordon Bleu Mexico was held. It's important to remember this association existed since 1990 and brings together the spouses of representatives of the embassies, consulates and international organizations; has more than 100 members of 47 embassies and 12 international organizations accredited in Mexico. 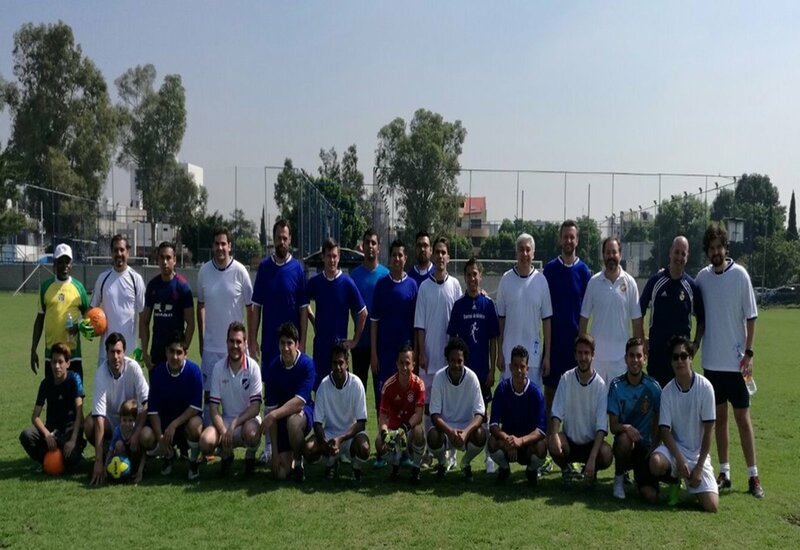 On June 3, the second friendly meeting between Le Cordon Bleu Mexico and ACD took place, where the last one was victorious of the soccer match that was played. Big percentage of students of Le Cordon Bleu are foreigners, therefore, the Institute have excellent connections between different embassies; during this event were representatives of Uruguay, Argentina, Guatemala, Mexico, Brazil, France, South Africa and Philippines, among others. At the end of the meeting, gastronomy was present with a great variety of dishes from each participating country, in a great family atmosphere. We're grateful for the invitation of the Association of Spouses of Diplomats in Mexico!